The Everything Bubble Is Ready to Pop #Infographic ~ Visualistan '+g+"
It wasn’t always this way. We never used to get a giant, speculative bubble every 7–8 years. We really didn’t. In 2000, we had the dot-com bubble. In 2007, we had the housing bubble. In 2017, we have the everything bubble. 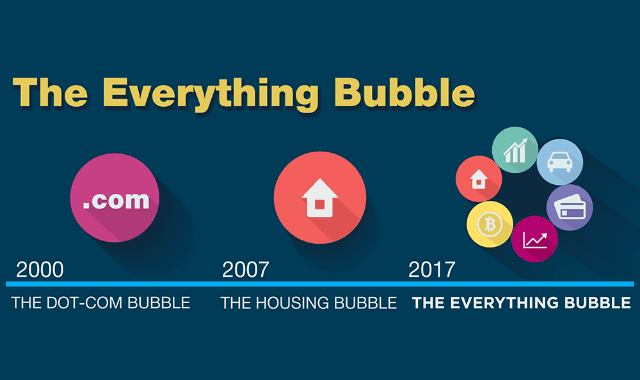 Why do we call it the everything bubble? Well, there is a bubble in a bunch of asset classes simultaneously. The infographic below paints the picture best.